and the deals and discounts we offer. testimonials of our many satisfied customers. In Laughlin and Nevada, there is only one garage door service that you can trust A1 Garage Door Service. We are simpy the best in the industry when it comes to garage door repair, installation and service. We are also unbeatable in terms of the expertise of our garage door technicians who have extensive experience and training and our amazing deals and discounts. This is the reason why we always receive A+ ratings on BBB, 5-star ratings on Yelp and the Super Service Award on Angie’s List. Experience what A1 Garage Door Service has to offer. Contact us now at 702-805-4600. A1 Garage Door Service is the true expert in all garage door services. 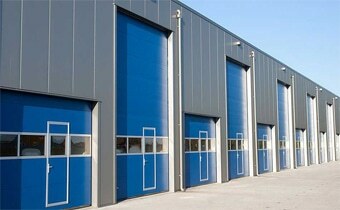 When it comes to new garage doors, we have the biggest inventory of quality, high performing and durable garage doors. Simply call us if you require a new garage door installed and we will provide you with various options terms of brands, materials, designs, colors, accessories among others. You may even choose to have a custom garage door made as we also specialize in the high quality craftsmanship of garage doors. For the safest and most secure garage door openers, you can trust only A1 Garage Door Service. We offer a range of quality garage door openers that are guaranteed to operate smoothly and safely. Our garage door openers come from the top brands which have exceeded safety standards. With us, you are GUARANTEED to never worry about safety issues of your garage door opener. A1 Garage Door Service prides itself in its professional team of garage door service technicians in Laughlin, Clark County, Nevada. They are well-versed in all the ins and outs of your garage door. They have undergone rigorous training and are very much knowledgeable about all types and brands of garage doors. We GUARANTEE that our technicians can immediately pinpoint your garage door issue and fix it in the soonest possible time. Service offers quality service 24 hours a day, 7 days a week. It doesn’t matter what the time is or what the weather may be. Rest assured that when you need us, we will be there for you. See why we are the best! Yelp 5 Star Rating We keep a high 5 star average rating with over 50 reviews! Licensed Bonded And Insured. Trust your work is done with quality. Angies List 2014, 2015, & 2016 Super Service Award recipient! Background Checks All A1 employees must pass a criminal background check before hire. Is your garage door opener defective or simply not working? Call A1 Garage Door Service at 702-805-4600 and we will fix it for you. We have all the top models, brands and makes of garage door openers plus laser eyes and keypads. A1 Garage Door Service specializes in the installation, repair and maintenance of all commercial doors such as as security gates, roll-up garage doors, warehouse doors & more for local Tempe companies. Simply call us at 702-805-4600. Do you have a broken or bent garage door panel? Contact A1 Garage Door Service at 702-805-4600 and we will immediately replace or repair it. Always get the best torsion & extension springs. A1 Garage Door Service has an array of premium quality springs appropriate for your garage door. Just dial 702-805-4600 to get your door functioning like new. Do you have a damaged door? Worry no more. Our expert team at A1 Garage Door is well-equipped to fix it for you. Call us at 702-805-4600. A1 Garage Door Service can certainly take care of garage door cables, bad sprockets, and mis-shapen garage door tracks with ease. Contact 702-805-4600. Is your garage door loud? Is it lowering and raising slowly and gradually or even jumping on the tracks? Our technicians will make sure all of your components are in working condition and provide you with a full tune-up at reasonable prices. Just dial 702-805-4600. Are you in need of a brand-new garage door? Whether your home’s door is old and broken down or you want to update the visual appeal of your home with a custom garage door, our technicians will certainly give you the service you deserve at a good price. Simply contact 702-805-4600. Our specialists will install a brand new garage door weather seal which will keep rats, rain and dust away from your garage for good. Its simply a matter of calling A1 Garage Door Service at 702-805-4600. We offer 24/7 emergency service and free estimates, so call today! Coupon must be presented when order is placed. not valid with other offers. Limited time offer. How Much Should I Pay for a New Garage Door? We are ready to assist you and get your garage door back on track! © 2019 . A1 Garage Door Service. All Rights Reserved.